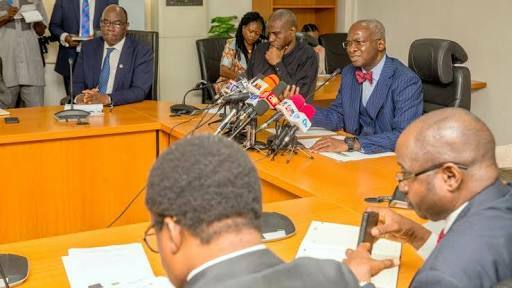 A serious NGO, the Incorporated Trustees of Center for Pursuit of Legal and Constitutional Rights has asked the Permanent Secretary in the Ministry of Power, Works and Housing, Mr. Louis N. O Edozien, to resign his appointment or be dragged to court. The NGO’s demand followed its claim that Edozien failed to undergo the one-year compulsory national service after graduation. In a letter dated November 19, 2018, and made available to newsmen on Sunday, the group asked Edozien to resign his position in the ministry for allegedly breaching Section 2(1) and 12(a) and (b) of the National Youth Service Corps Act by refusing to make himself available for national service for a continuous period of one year after his graduation from the university. The letter was written to the Perm-Sec by the group’s lawyer, Samuel Akpenpuun, and copied the office of the Head of Service of the Federation. Akpenpuun stated in the letter that section 2(1) of the NYSC Act provides that every Nigerian is under obligation, unless exempted under sub section 2 of the Section or Section 17 of the Act, to make him self available for service for a continuous period of one year from the date specified in the call up. “Take notice that if after the expiration of the seven days graciously given to you by our client, you fail to resign as demanded, you would have left us with no other option than to formerly demand for your sack from the court of law as your appointment is in clear breach of relevant laws of Nigeria,” the lawyer stated. According to the NGO, an inquiry at the NYSC secretariat showed that the Perm Sec purportedly claimed he served at the Nigeria Institute of Social and Economic Research in Oyo state, but his personal NYSC file, his call up letter mobilising him to Oyo, his letter of posting to the Institute are not sighted to confirm that he ever served in the state. The group also stated that the name and particulars of the Perm Sec are not in the certificate/book of life for 1981/82 service year. It was the contention of the group that because Edozien never served the nation as a corps member, “he doesn’t deserve a discharge certificate to make him eligible for any employment in the country by virtue of Section 12(1)(a)of the NYSC Act. Consequently, the organisation has given Edozien one week, from the receipt of the letter to resign his appointment or face litigation. Also, the NGO demanded that Edozien refunds all salaries, allowances and other emoluments paid to him as Permanent Secretary to the federation account.